"What exactly is the nature of my game?" It is perhaps the central question of any narrative work, but in director Paul Thomas Anderson’s latest film, Phantom Thread, trying to guess the true nature of the game afoot becomes a delightful and visually opulent journey. Not only is this film intriguing from the first frame to the last, its lavish and classic look become just as important as the story itself. And so what is the nature of Phantom Thread’s game? More than just majesty, obsession and mystery, Paul Thomas Anderson has crafted once again a fascinating character study, brilliantly embroidered by an outstanding visual palette and lead acting work. In 1950s London, celebrated dressmaker Reynolds Woodcock (Daniel Day-Lewis) enjoys the patronage of many high-class members of society; though he displays a brilliance as a designer his life is not without its quirks. His schedule and routines are always highly regimented and the slightest annoyance will cause him to ‘lose focus’. In short for all the genius Reynolds showcases he is quite a peculiar, fussy, and strict man. When a young waitress named Alma (Vicky Krieps) suddenly becomes his latest muse she finds herself intoxicated by the charming life in the fashion House of Woodcock, yet also simultaneously bewildered by Reynolds’ rigid outlook on life. Indeed from beginning to end audiences never quite know what to make of Reynolds Woodcock. Is he really an haute couture genius? Or perhaps a very strange man with an over-inflated ego? Anderson successfully creates an air of uncertainty about everything and right up until the film’s finish there are still questions lingering about what comes next. As a tale of intrigue, it is certainly finely woven (no pun intended) revealing little bits at a time but just enough to keep you invested. Aiding greatly in keeping audiences invested is the splendid visual landscape and beautiful musical score by Jonny Greenwood. Being set in a fashion house obviously lends itself nicely to the plethora of fine dresses, colors and shades abundant in the film. The imaginative and creative design of the clothing is truly wonderful being both historically accurate in their conception yet also refreshingly inventive. Costume designer Mark Bridges has done commendable work here and his Academy Award nomination is more than just. "As a tale of intrigue, it is certainly finely woven revealing little bits at a time but just enough to keep you invested." The light and darkness in the picture is very nuanced yet extremely effective and between shots of cloth, dress folds and needlework there’s also the brilliant use of shadows for our characters faces. Like the story itself, there is a wrapping of mystery to all that we see and it works beautifully. As for the score Jonny Greenwood has composed a truly wondrous musical backdrop that is not only lavish and clear but also sweeping and ominous. From delicate piano solos to tracks with full orchestration, the score to the film is as much a character as Reynolds or Alma. The music brilliantly molds itself to the mood of the picture (as any good musical score should theoretically do) whether it’s enchanting shots of dresses and spiraled staircases or more serious views of a cantankerous Reynolds. The necessity of music to any film is an indisputable truth, and Greenwood’s score proves once again why we need music in this life. Of course, the big question hanging around this film, outside of its narrative, is whether or not this will indeed be Daniel Day-Lewis’s final film acting role. An old adage says that one should “never say never” and I find it particularly hard to believe Day-Lewis should never grace our screens again. But if it is indeed as he says his final role, he’s chosen a suitably forceful and enigmatic character to go out with. Reynolds Woodcock is both fascinatingly poetic and progressive as he is rigidly and authoritatively old fashioned and Day-Lewis jumps into the role with ease and charm. There’s a reason why he’s considered one of the greatest thespians ever and he introduces another great personification to his very carefully crafted portfolio of roles. 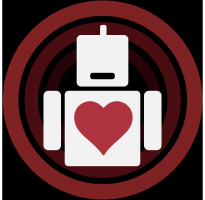 Should this be his last role it will indeed be a sad truth, but we should all take considerable solace that his work has left an undeniable impact. As this highly peculiar tailor, Daniel Day-Lewis again exhibits the immense talent that has earned him his rightful laurels. 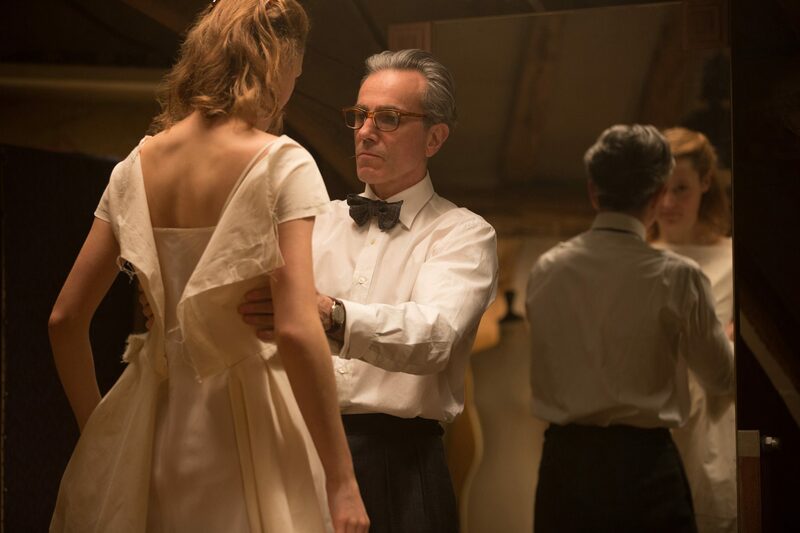 And so in looking back at Phantom Thread, the nature of its narrative game (or Reynolds’ game) becomes as complex and enthralling as its constituent elements. Everything in the film is deliberately placed and unfolds with a gradual sense of urgency. Paul Thomas Anderson’s filmography has seen its highs and lows (or perhaps middle points), but with a characteristic affinity for engaging storytelling, he makes this film a real entertaining work. His characters all have secrets and with a storyline that keeps you guessing the movie becomes an intriguing outing. Add in wondrous costumes, colors, shades and other lighting and this enigmatic world comes to striking life, while a highly effective and moving musical score brings a sharp emotional resonance to the screen. 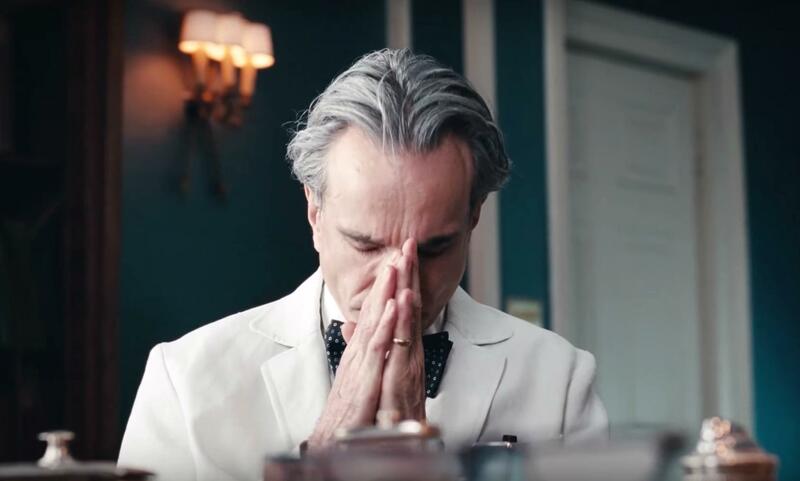 Phantom Thread excels as a cinematic delight, delicately stitched together and held in place by master class filmmaking. What is the nature of this game? Beauty, intrigue, luxury and perhaps even more for as we all know beauty is in the eye of the beholder.